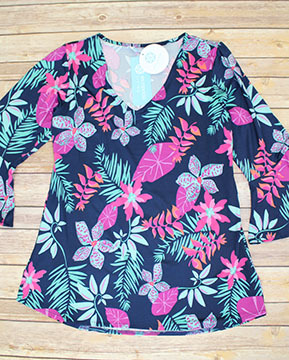 Escapada "Natalia" Navy/Violet 3/4 Sleeve Top With Ruffled Sleeves With V-Neck. Fabric 90% Polyester & 10% Spandex. Machine Wash Cold.